Nou Hach Literary Association - Kampot Writers Festival 2017 "Courage" Kampot Writers Festival 2017 "Courage"
The Nou Hach Literary Project was initiated in 2002 with the objective of supporting the development of modern Cambodian literature, which has yet to recover from the excesses of the Khmer Rouge era. We annually publish a literary journal and hold a writers conference with speakers and literary awards to honor and support modern writers in Cambodia. Underlying this effort has been the intent to foster greater literacy and to develop the intellectual infrastructure in civil society. We sponsor creative writing workshops at schools of pedagogy in the outlying provinces and disseminate the Nou Hach Literary Journal to high school teachers to fill these two objectives. We have an apolitical, inclusive policy as advocates for freedom of literary expression. The Nou Hach Literary Project began in 2002 with the efforts of Prof. Teri Shaffer Yamada. She began recruiting interested writers based on the advice of Helen Jarvis and other researchers associated with the Publishing in Cambodia Project. Kho Tararith, a young poet associated with the Sowers Association and a researcher with the Publishing in Cambodia project, was highly recommended to her. Prof. Yamada pitched the idea of becoming the project director to him. He consented and other writers, librarians, editors, and literature professors were involved as the project progressed. Kho Tararith served as director until 2009, when he left Cambodia as a writer in Harvard University’s Scholars at Risk Program. Khem Akhaing assumed position as manager from 2009-2011. In 2012 we are in the process of re-writing our bylaws to establish an advisory board and a rotating two-year position for the Nou Hach Literary Association manager. The Nou Hach Literary Project was inaugurated with the first Nou Hach Literary Conference at the Sunway Hotel in June 2003. The keynote speaker was Cambodia expert Helen Jarvis who along with her research team discussed their seminal report “Publishing in Cambodia,” which has been funded by the Center for Khmer Studies and the Toyota Foundation. Professors Som Samuny, and Sum Chhum Bun of the Royal Academy of Cambodia offered critical comments about the state of modern Khmer literature to an audience of over 150 writers. These writers separated into groups were formed to discuss specific issues troubling contemporary Khmer writers. This half-day event ended with the presentation of literary awards (first-to-third place prices for poetry, short story, and literary research). The event was extensively covered in the print and broadcast media. After this initial conference, the Toyota Foundation funded the developing Nou Hach Literary Project for two years (2004-5) with Teri Shaffer Yamada supplementing these funds. From 2004-2010 the annual writers’ conference was held at the Buddhist Institute as a daylong event with the same format: keynote speaker, writer’s workshops, and literary awards. The category of “song” (original music and lyrics) was added to the 2004 contest and discontinued after the 2006 conference due to an insufficient number of submissions. In 2007 awards were given for poetry and short fiction. This event is always heavily attended with an audience of over 150 people. In 2006 we were able to sponsor three creative writer’s workshops: two (Phnom Penh and Siem Reap) with British writer Geoff Ryman and one (Phnom Penh) with award-winning Malaysian writer K. S. Maniam, who also gave the keynote address “A Writer’s Life in Malaysia” at the annual conference. In 2007 eminent Cambodian writers in diaspora (France, Japan, America) were invited to address the audience of writers at the conference. Since 2007, we have been greatly enriched by Asialink interns, writers in residence from Australia, who have taught many writers workshops in Phnom Penh. An important component of this Project has been an outreach campaign to writers and schools of pedagogy in the provinces. In 2005 a group of writers visited the schools of pedagogy in Battambang and Siem Reap to hold half-day workshops on the meaning and significance of contemporary Khmer writing (see photographs). At that time they participated in several call-in radio shows in those areas. The solicitation for submissions to the literary contest also includes trips to the outlying provinces to contact writer’s groups and directors of the schools of pedagogy, the purchase of advertisement spots on radio and in newspapers. Flyers are distributed at the annual water festival in late October to announce the next submission deadline for the literary prizes and the conference. All the conferences have been covered by radio, print, T.V. news media, making it a well-established event. The 2004-5 Toyota Foundation award also enabled the production of a fifteen-minute radio program of classical poetry recitation. Professional reciters and musicians produced this program using traditional poetry often selected from the Buddhist Institute’s journal Kambuja Suriya. This program was broadcast five times weekly through the Women’s Media Center Station, FM 102, and rebroadcast gratis in Battambang on Radio FM 103.25 and in Siem Reap on Radio FM 100.5. Currently we have over 50 reels of tape recordings of this classical poetry program that could be edited into CD format. We hope to produce this CD along with a companion booklet of the poems as a literature and literacy project. 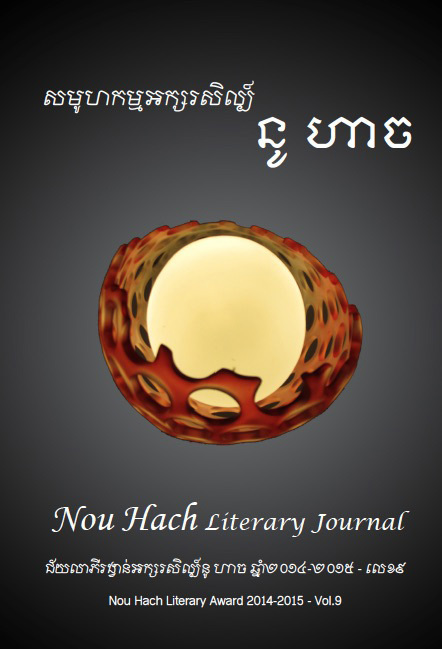 In 2004 the first Nou Hach Literary Journal (142 pages) was published, funded by the Toyota Foundation grant, and distributed to booksellers and libraries in Cambodia, France, Japan, Australia, Great Britain and the United States. It contains the short stories and poems of the top award winners from conferences in 2003 and 2004. 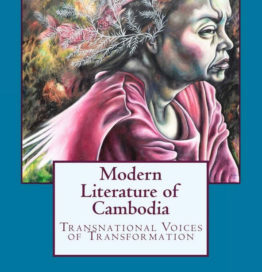 The second volume (2005) contains the prize winning selections from that year’s conference, literary criticism including “A Few Experiences on Scientific Text” by Prof. Khing Hoc Dy and information from the Book Federation on ISBN requirements in Cambodia. The third volume (2006), was funded by the Toyota Foundation, the fourth (2007) and fifth (2008) volumes were funded by Prof. Yamada, and volume six was published and funded by Sastra Publishing House and Teri Yamada. In 2012 the decision was made to go digital with Vols. 3-6 so that a wider audience of Khmer readers could enjoy modern Khmer Literature. Vol. 7 was published in 2013 with selections of literary awards from 2011 and 2013. Vol. 8 is on track for publication in 2016. Another publication “Who’s It For: Collection of Modern Cambodian Short Fiction” is a bilingual collection of the best short stories developed by writers associated with the Nou Hach LIterary Association since 2002. It is the first publication of bilingual short stories in Cambodia. Thanks to American writer Horatio Potter for funding this publication. 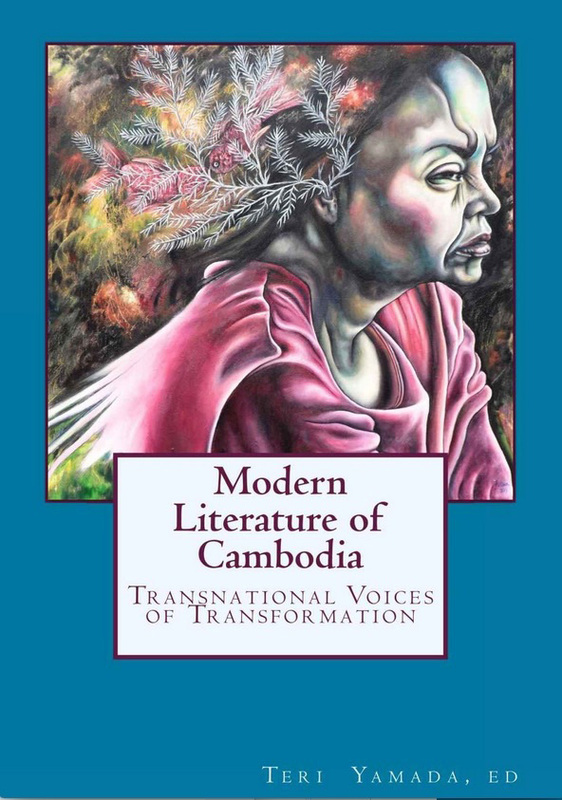 The organizing effort for this project has been motivated by the need to link various professional sectors in a cooperative effort; therefore, the Nou Hach team currently has many members, including artists and writers affiliated with established writers’ associations (the Sowers Association, the Khmer Writer’s Association, Cambodian PEN); librarians, scholars and professors interested in literature and the arts. We also maintain linkage with international scholars who serve as advisors to the project. office: contact Soknea, 092 957171 in Phnom Penh; contact Teri Yamada at CSU Long Beach by email (teri.yamada@csulb.edu). The Nou Hach Literary Project currently has four areas of development: 1) Nou Hach Literary Conference: the organization and implementation of a annual writers’ conference for 150 participants, with workshops, literary awards, and a keynote speaker from outside of Cambodia; 2) Nou Hach Literary Journal in electronic form; 3) Writer’s Workshops: The promotion and organization of writers’ workshops with foreign writers as guest instructors; 4) English translation projects of Khmer poetry and short fiction.